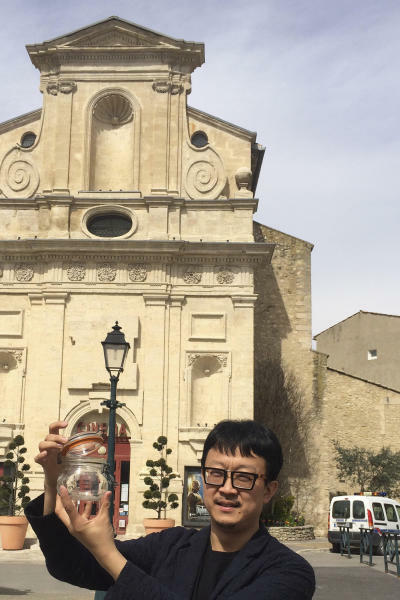 BEIJING (AP) — Beijing artist Liang Kegang returned from a business trip in southern France with well-rested lungs and a small item of protest against his home city's choking pollution: a glass jar of clean, Provence air. 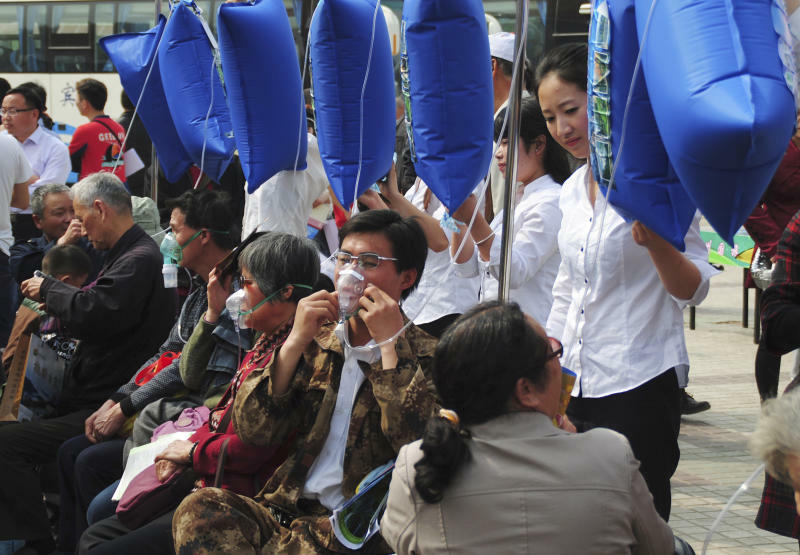 "Air should be the most valueless commodity, free to breathe for any vagrant or beggar," Liang said in an interview. "This is my way to question China's foul air and express my dissatisfaction." Liang's work is part of a gust of recent artistic protest — and entrepreneurial gimmickry — reflecting widespread dissatisfaction over air quality in China, where cities often are immersed days on end in harmful pollutants at levels many times what is considered safe by the World Health Organization. The chronic problem has spurred brisk markets for dust masks and home air purifiers. China's senior leaders have pledged to clean the air, partly in response to a citizenry increasingly vocal about environmental issues. But it is a daunting task that must be balanced with demands for economic development and employment crucial to maintaining stability. 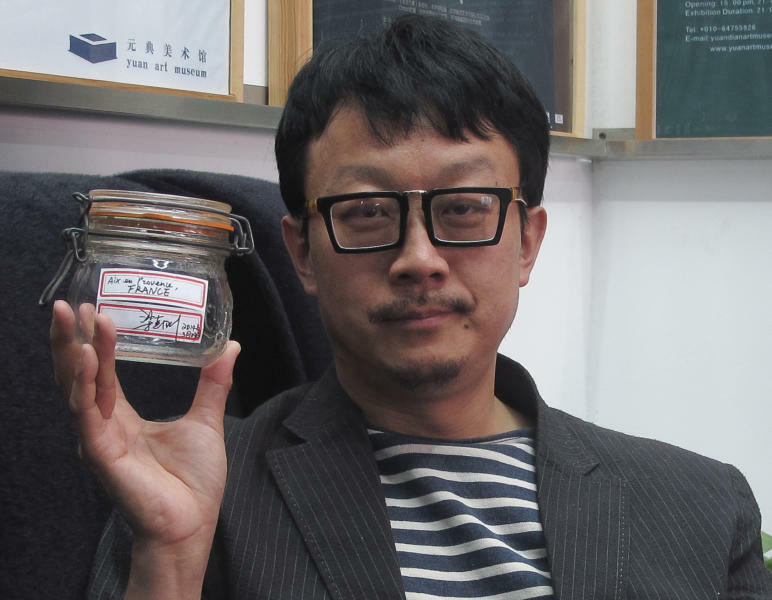 Liang's contribution is a short, ordinary glass preserves jar with a rubber seal and a flip-top. It has three small, handwritten paper labels: one with the name and coordinates of the French village, Forcalquier, where he closed the jar; one saying "Air in Provence, France" in French; and one with his signature in Chinese and the date — March 29.